Full details of our national event can be found on link. Government initiative for gifted children: see the National Strategies website which will form a single focussed G&T area for both practitioners and learners. Currently the site provides guidance, materials and resources to support local authorities, school leaders and leading teachers in meeting the needs of G&T learners. Soon it will also feature a range of materials designed specifically for learners, including a new online needs analysis tool to enable G&T learners to assess, with their teachers, their learning and development needs. Please check the National Strategies website regularly for updates. Kilve Court Residential Centre at Kilve in Somerset is run by Somerset County Council and has an extensive programme of weekend and holiday courses for gifted children. SciTech organises science summer schools for primary school children in Cheshire/Manchester. Imperial College, London has a range of summer school and other activities for all age groups. 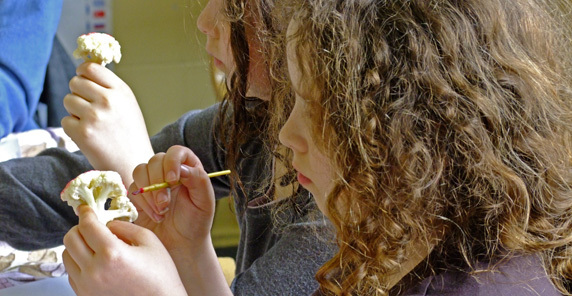 GIFT Ltd runs residential weekends and summer schools for gifted children over 11 years. Working with young people of exceptional academic ability. Such students have been acknowledged by the Irish Department of Education as having 'special educational needs'. Science Council has a new website for young people. This website is designed to show you just some of the amazing and unexpected places that studying science, technology, engineering and maths can take you. Think of this as your basecamp, your launchpad, the door is open - come on in and explore. A free service where you can shop with your favourite online stores and, at no extra cost, raise funds for any charity, good cause or group you choose to support. You still shop directly with each retailer as you would normally, but simply by using the links from the site first, each purchase you make will generate a cashback donation to the cause you wish to support. You can shop with 2000+ Brand Name retailers. If you already shop online, why not help good causes at no extra cost from purchases you would make anyway. The Big Give is the intelligent way for proactive philanthropists to find and support charities. The Big Give features over 7,000 charities working all over the world. You can find new projects to support, and make your donation go further with our Double Your Donation challenges. You can also promote giving to the next generation of philanthropists, or leave a legacy to any charity on the website. The Big Give is free to all users thanks to the generous support of the Reed Foundation, the charitable arm of Reed Specialist Recruitment. Coding unplugged which offers a whole host of coding activities without the need for computers. This is a good coding activity with attached resources (this is from the STEM (science, technology, engineering and maths), which is offering parent activities at the moment. An article about tinkering which has some cool project ideas!